For anyone interested in the cultural and historical origins of our modern worship practices, this book will be fascinating. For anyone interested in learning how to connect with God genuinely, and how to worship communally in the way the earliest Christians did, this book may rock your world. As an initial comment, thanks to my new friends at sustainabletraditions.com for making me aware of this book. For anyone who adheres to the values I often write about on this blog, I highly recommend joining that on-line community, from which I expect great things will come. 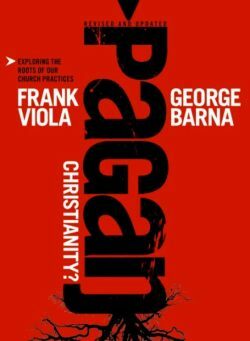 The authors of Pagan Christianity are involved in the “house church” movement, and advocate returning to a more 1st Century style of worship. They make compelling arguments against many of the practices of our modern churches, such as paid clergy, sermons, choirs/praise bands, tithing, dressing up, fancy buildings with mortgages on them, etc. They spare no sacred cows. While I don’t agree with all their conclusions, and while I’m not ready to give up my church–where despite our human flaws great things continue to happen and lives continue to be transformed–this book did give me a hunger for the type of worship community shared by the earliest Christians. I’m still trying to figure out what to do about that. (By the way, the authors would recoil at the use of the word “church” to describe an institution or a building). I’ve heard that Andy Stanley has said something like, “The problem with going back to a 1st Century style of worship is that we don’t live in the 1st Century.” True, that. But we don’t live in the sixteenth century either. We don’t even live in the 20th Century anymore. The ideas in this book are challenging, and worthy of very serious discussion. I’m hopeful that we can develop a house church community of our own–which will be no easy task in our part of the world. I’d love to hear from anyone with thoughts on how to do that.